The rail ministry is working on a rigorous cost optimisation drive in order to dampen the pay panel's impact. The Cabinet's nod to the recommendations of the Seventh Pay Commission would create an impact of Rs 24,325 crore (Rs 243.25 billion) on the Indian Railways in the current financial year ending March 2017. The amount constitutes 45 per cent of the railways’ total wage bill of Rs 53,000 crore (Rs 530 billion) for this financial year. Based on the pay panel's recommendations, the total recurring burden on the government works out to Rs 72,800 crore (Rs 728 billion), Finance Minister Arun Jaitley said while briefing the media. "After including the arrears of Rs 12,000 crore (Rs 120 billion) for Jan-March 2015 period, this burden goes up to Rs 84,933 crore (Rs 849.33 billion) for 2016-17. "This includes an impact of Rs 24,325 crore on the Railway Budget and Rs 60,000 crore (Rs 600 billion) on the general Budget," Jaitley said. IR's net ordinary working expenses for the current financial year is Rs 1,23,560 crore (Rs 1,235.6 billion). This includes an expenditure of Rs 6,622 crore (Rs 66.22 billion) on staff welfare and amenities apart from Rs 47,170 crore (Rs 471.7 billion) on provident fund, pension and other retirement benefits. Rail Minister Suresh Prabhu said Indian Railways must look at new and innovative financing models to expand resources, including gross budgetary support and private participation, as investment in railways is abysmally low as compared to other countries. "The Seventh Pay Commission recommendation will create serious impact on budgetary resources not just for the railways but for the government as a whole," he said during a media interaction. Earlier this year, Railway Board Financial Commissioner S Mookerjee had told an industry gathering Indian Railways' operating ratio for the current fiscal would be 88 per cent had it not been for the pay commission's impact. The rail ministry has budgeted for an operating ratio -- money spent to earn Rs 100 -- of 92 per cent for the current fiscal as compared to revised Operating Ratio of 90 per cent for 2015-16. This includes targeting of savings of Rs 1,500 crore (Rs 15 billion) in diesel procurement and Rs 2,000-crore (Rs 20-billion) savings in sourcing of electricity. Indian Railways employs around 1.3 million people. The Cabinet's approval of the pay commission's recommendations comes at a time railways' trade unions are up in arms against the provisions made. 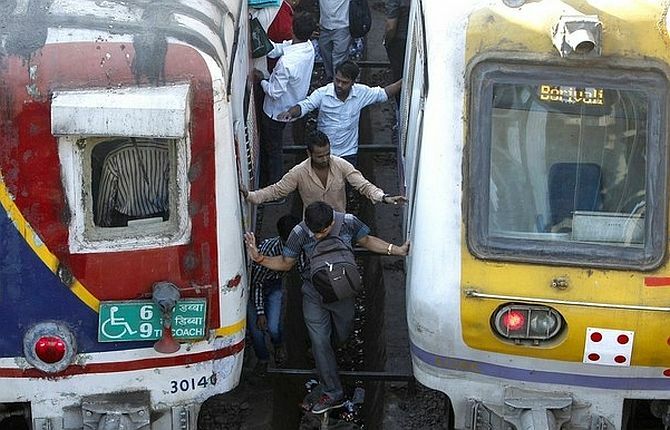 The two unions -- National Federation of Indian Railwaymen and All India Railwaymen Federation -- have threatened to go on an indefinite nationwide strike from 11 July against what they call 'retrograde' recommendations.